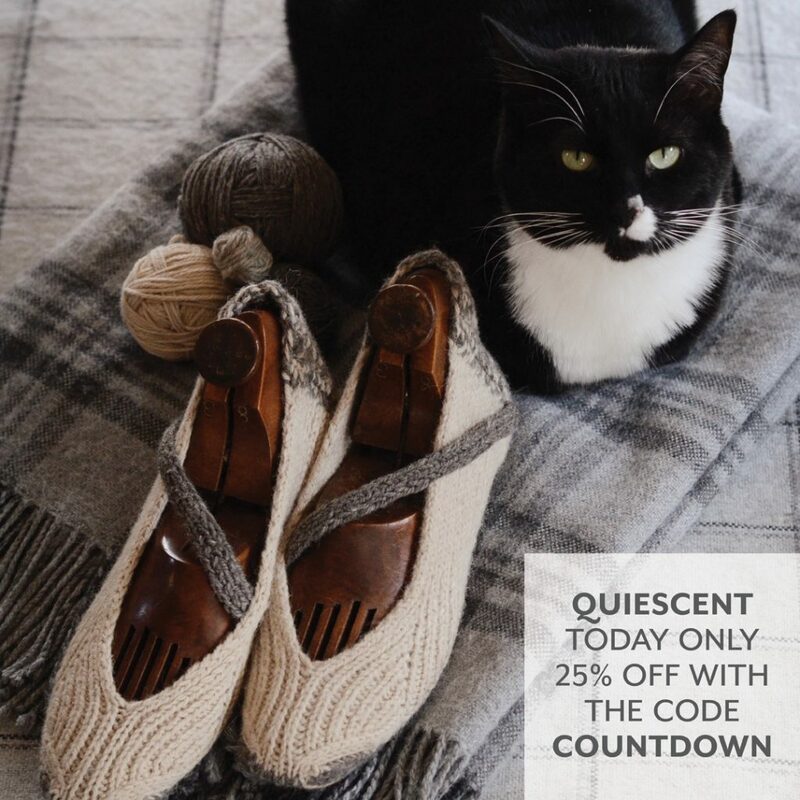 Today only, Quiescent is on sale on ravelry for 25% off with the code COUNTDOWN. What’s up? I’m doing a December countdown! Now through Christmas Eve, I’m putting one pattern a day on sale for 25% off (I started with socks and am moving on to quicker and quicker projects as the month goes on). Each sale only runs one day (until 11:59pm eastern time), so grab it while you can.